I was doing a keyword research on Google and found out Nigerians are more interested in becoming sub distributors of indomie noddles than being main distributors. But why? The reason is not farfetched; it is easier to start off as a sub distributor because it involves lesser startup capital. "I really want to become a sub indomie distributor in Nigeria but don’t know or what it takes to become one, anybody with useful information or guidelines should please comment below"
Have you been asking questions on how you can become a sub distributor of indomie noodles? Worry not, as I am going to teach you the simple steps to become a sub distributor and how you can eventually grow into a distributor. Do note that as a sub distributor you do not deal directly with DUFIL PRIMA, the company that produces indomie noodles. As a sub distributor you deal with the distributors, so you are more of a middle man in the supply chain. Like I said earlier, the difference between the distributor and the sub distributor is just the working capital. This means as a distributor you receive a larger consignment of indomie noodles. But as a sub distributor you rely on these distributors because they are the ones that will supply you. What This means is that, all sub distributors of indomie noodles fall under the main distributors of indomie noodles. That is, indomie noodles distributors gets the products from the company directly while the sub distributors of indomie noodles get same from the distributors. This consumer channel allows the company to easily distribute their products to the end-buyer through the distributor and sub-distributor and to consumers. So as an intending sub distributor of indomie noodles doo not go directly to DUFIL prima, the producers of indomie noodles, unless you have about 2 million naira, instead visit top distributors of the product v=because they are easily accessible and ever ready to do business with you. 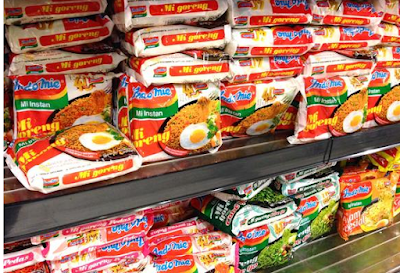 Getting insight from already established indomie noodles distributror or vendors will give your business a soft landing. Ensure you carry out a feasibility study in your choice of location also.